My contribution for the special issue of the magazine Illywords, entitled ‘The culture of Listening’ and published by Corraini, consisted of interpreting the Shavian Alphabet. Design of a page for the magazine: layout and content. Illywords #27, Mantova, Italy: Corraini, 2009, in page 9. The Shavian alphabet of George Bernard Shaw (1912) is conceived as a way to provide simple, phonetic orthography for the English language to replace the difficulties of the conventional spelling. 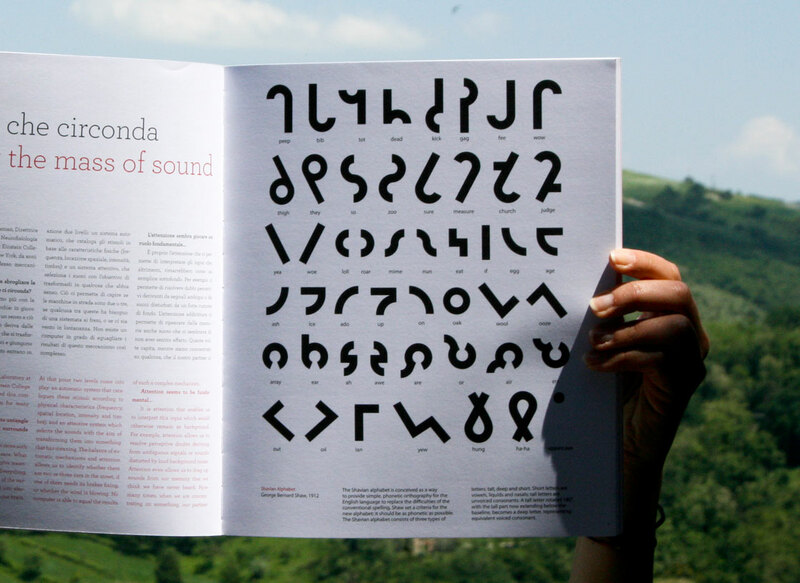 Shaw set a criteria for the new alphabet: it should be as phonetic as possible.